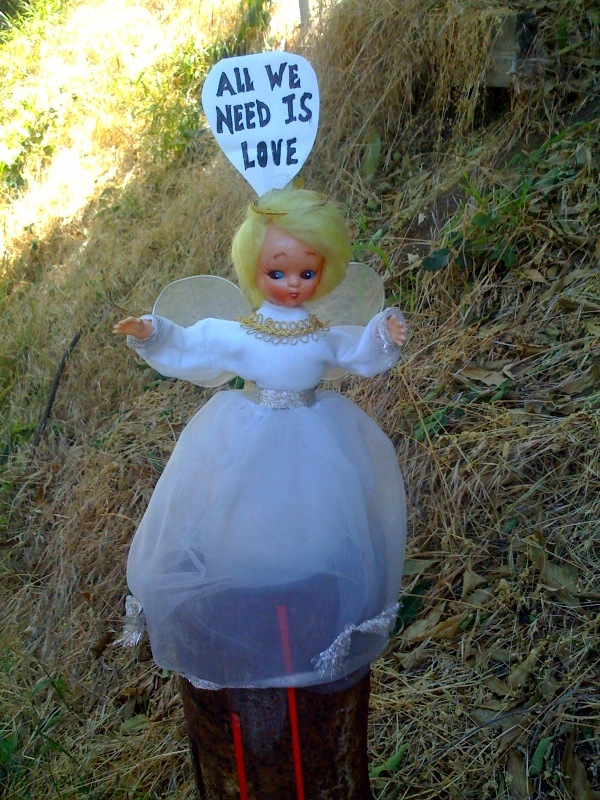 When we moved into our new place in the Hollywood Hills this doll just appeared on our street directly in front of our house in Laurel Canyon. The anonymously placed doll was a perfect welcoming to our new neighborhood. Laurel Canyon is a weird place with an interesting and erratic history and a whole lot of character. This is an example of street art with a positive message that spoke to us and everyone who came to visit… and without a doubt, we gotta whole lot of love out in Laurel Canyon. Interesting… I’d love to live there.